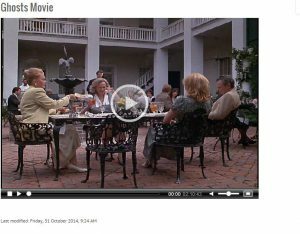 Ensemble Video is our Video On-Demand Service. 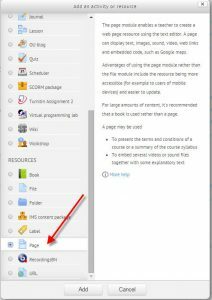 To easily link videos contained in the Ensemble Video Library to your Moodle course, you will begin by creating a Page. 1. To get started, turn editing on and click “Add an activity or resource” in your desired topic section. 2. 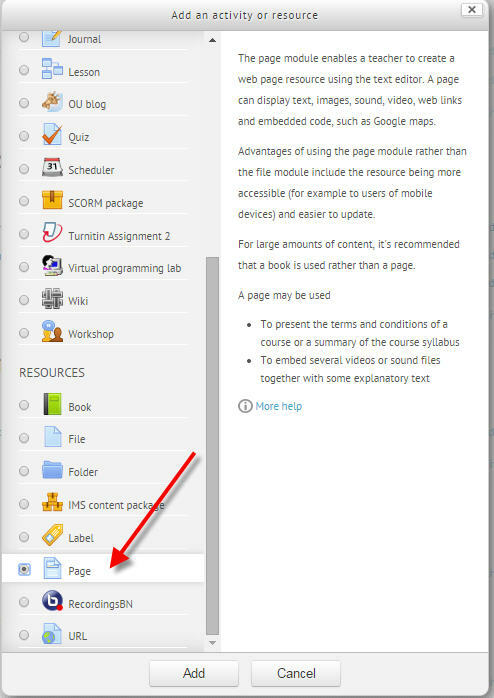 Next, choose Page from the Resources section toward the bottom. Typically, the name you give this Page would be the name of the film you are linking to Moodle. 4. 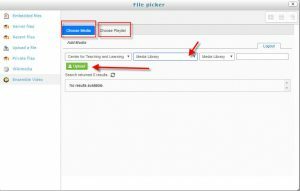 Click Find or upload a sound, video or applet…. 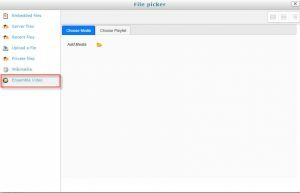 You will see a file picker window with Ensemble Video listed. Select your library from the middle dropdown menu. 6. 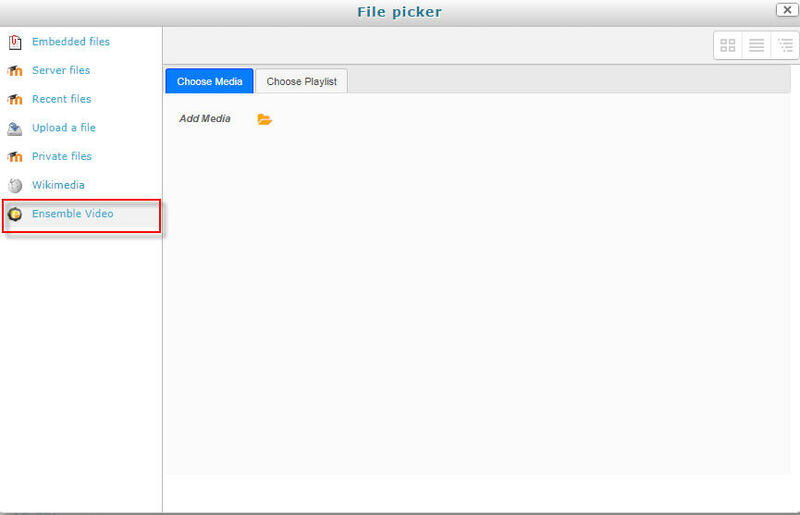 If you have created a playlist, you can select Choose Playlist; To select individual files, click Choose Media. 7. Once you have made your decision, click the Green Upload button (for individual media files) to add the video(s) to your Page, or click the Green Plus sign next to the Playlist you wish to add (for playlists) to add the playlist to your Page. Then click Save. 8. 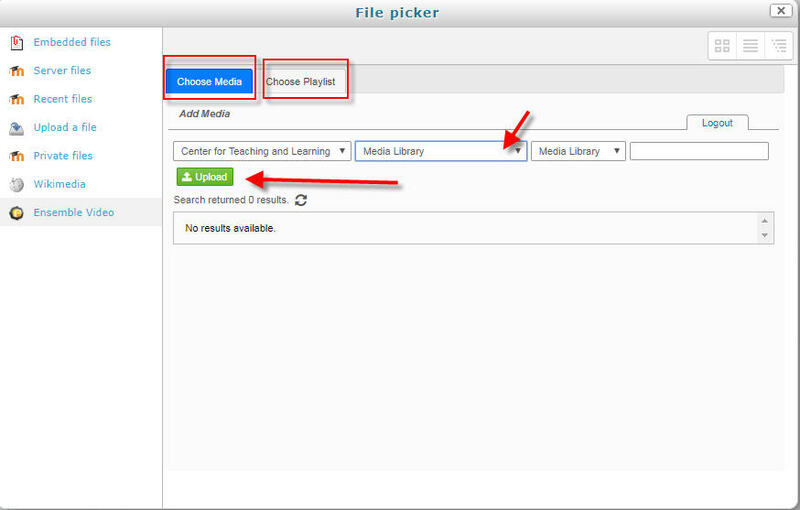 Click Save and Display to see what the video looks like in your Moodle page.